The death occurred on Friday, January 25 of John Mallon, Lettergonnell, Ballinalee, Longford, suddenly but peacefully in London. John will be forever missed by his loving wife Eilish (Isabella, nee Fox), sons Peter and Garrett, daughter Sarah, son-in-law Karl, daughters-in-law Tracy and Victoria, his cherished grandchildren Jacob and Ethan, Aoife and Caoimhe, Jack and Sam, sisters Margaret Mallon and Nell Fitzpatrick, brothers-in-law, nephews, nieces, relatives, neighbours and his many good friends here in Ireland and England. His nature was loving and giving, His heart was made of gold, And to us who truly loved him, His memory will never grow old. Rest in peace John. Reposing in Connell's Funeral Home, Church St, Longford, (N39 KN66) on Tuesday, February 12 from 7pm, concluding with prayers at 8.30pm. Funeral mass on Wednesday, February 13 in St Patrick's Church, Ballinamuck, Co Longford, (N39 P386) at 12 noon followed with burial in Kilmahon Cemetery. The death occurred on Sunday, February 10 of Pauline O'Hara (nee Quirke), Kilkenny and late of Toomevara, Co Tipperary and Main Street, Granard, Co Longford, peacefully, in the loving care of Anne and the staff at Drakelands House Nursing Home. Pauline, beloved wife of the late Paddy and much loved mother of Helen, Pauline, Pat, Michael, Majella, Breda, Seán, Eamonn, Martina and Oliver, sadly missed by her loving family, brother Paddy and his wife Kay, sister-in-law Lena, sons-in-law, daughters-in-law, grandchildren, nephews, nieces, extended family and friends. Rest In Peace. Reposing in Johnston's Funeral Home, John's Green, Kilkenny (R95 XE00) on Tuesday, February 12 from 5pm to 8pm with Rosary at 6.30pm. Reposing in Smith's Funeral Home, Barrack Street, Granard (N39 AX97) on Wednesday, February 13 from 5pm to 7pm. Removal on Thursday morning February 14 to St Mary's Church, Granard, arriving for Requiem Mass at 11am. Interment afterwards in Granardkill Cemetery, Granard. The death occurred, suddenly, in Mullingar General Hospital, on Friday, February 8 of Lou Albert Tormey, 14 Castle Gardens, Newtownforbes, Longford and formerly Clara Road, Moate, Co Westmeath. Predeceased by his parents Patrick and Theresa, brothers Pat and David, sister Neillie Vine. Lou will be sadly missed by his wife Marie, son James and his girlfriend Edel, brothers Joe and Christy, sisters Marjie Simons, Mary Guinan Kay Bannon, brothers-in-law Barry, Jim, Pauric, Michael, Peter and Barney, sisters-in-law Phyllis, Maria, Jean, Aggie and Bridget, neighbours, friends and his Army Colleagues. 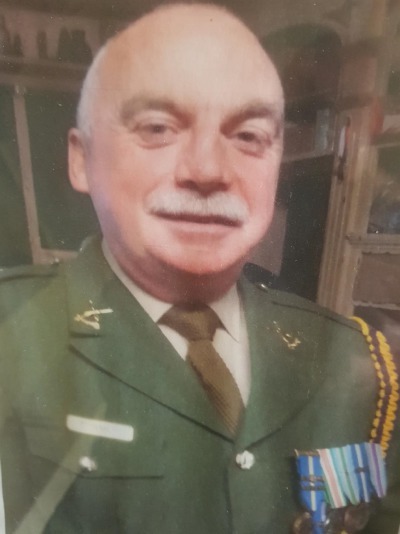 Lou was a serving member of 4th Cavalry Sqn and 6th Inf Bn, for 42 years which included 13 overseas service missions to Lebanon, Liberia, Chad and Kosovo. Death leaves a heartache no one can heal, Love leaves a memory no one can steal. Rest In Peace. Reposing in Connell's Funeral Home, Church Street, Longford, (N39 KN66) on Wednesday, February 13 from 6pm concluding with prayers at 9pm. Funeral Mass on Thursday, February 14 at 12 noon in St Mary's Church, Newtownforbes, Longford, (N39 EF29) followed with burial in the New Cemetery. Parking for Connell's Funeral Home is in Connolly Barracks. Please follow signs. The death occurred of Leo Kiernan, Malahide and formerly of Co Longford, peacefully in the care of St Francis Hospice, surrounded by his loving family. Beloved husband of Carole. Predeceased by his brothers Peter and Packie. Very sadly missed by his wife, children Paul, Claire, Jennifer and Robert, daughters-in-law Averil and Joanna, sons-in-law Michael and Claude, grandchildren Amy, Kate, Jack, Robyn, Harry, George, Sadie, Lara and Luca, sisters Bess and Bridie, brothers Michael, Mel and Tony, nieces, nephews, relatives and friends. Rest in Peace. Reposing in Staffords Funeral Home, Strand Road, Portmarnock on Monday, February 11 from 4pm to 6pm. House private. Removal to St Sylvester's Church, Malahide on Tuesday morning February 12 for 10am Funeral Mass, followed by burial in Rolestown Cemetery. Family flowers only please. Donations, if desired, to the Irish Cancer Society or St Francis Hospice. 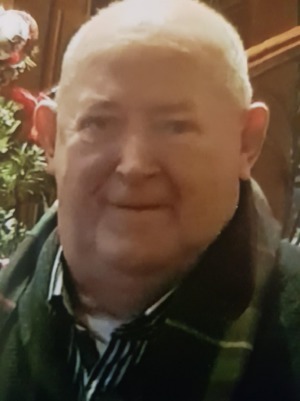 The death occurred on Saturday, February 9 of Pauric Dockery, The Grange, Drumsna, Co Leitrim and formerly Kingland, Boyle, Co Roscommon, suddenly at the North West Hospice, Sligo. Predeceased by his father Jim; Deeply regretted and sadly missed by his heartbroken wife Ann-Marie, sons Gerard and his fiancé Lena, Stephen, David and Ross, daughter-in-law Orla, grandchildren Gíanna and Abbey, mother Josephine, brother Tom, sisters Kathleen, Alice and Mary, brothers-in-law Padraig, Sean, John and Billy, sisters-in-law Kathleen and Annalynn, nieces, nephews, relatives, neighbours and friends. Rest In Peace. Reposing at his home on Monday, February 11 from 4pm until 8pm. Removal to the Church of the Immaculate Conception, Drumsna on Tuesday morning February 12 to arrive for Mass of Christian Burial at 12 noon with funeral afterwards to St Mary's Cemetery, Carrick-on-Shannon. House private on Tuesday morning please.